The group works on the development of data-driven and physically-based modeling strategies and their application to analysis and interpretation of materials data. 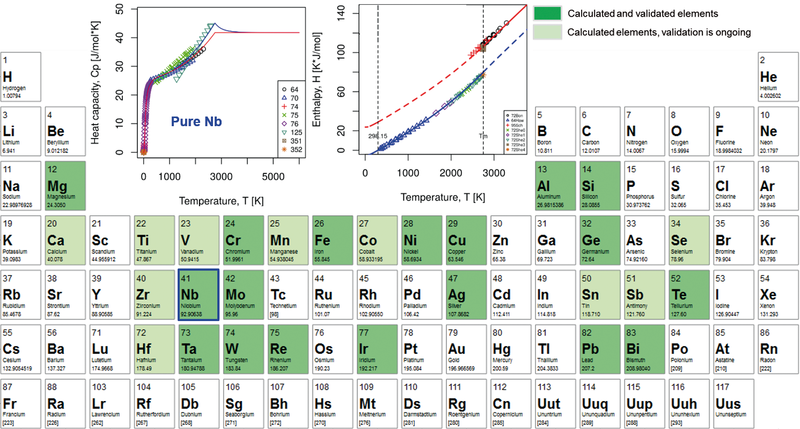 At the moment, one of key research topics is the development of physically-based and data-driven models to identify statistically sound correlations between materials chemistry, thermodynamic, microstructure and mechanical data of single crystal Ni- and Co-based super alloys. In comparison to the existing purely phenomenological modeling methods, such hybrid modeling strategies allow to identify the influence of individual physical effects from the considered contribution on selected material properties. Moreover, they are frequently required to accelerate the computer-based design of new materials and alloys, for example, the development of rhenium-free Ni-based alloys with the desirable mechanical properties. Normalized standardized regression coefficients of alloying elements and their variations in at% for property variation within a full linear regression model. 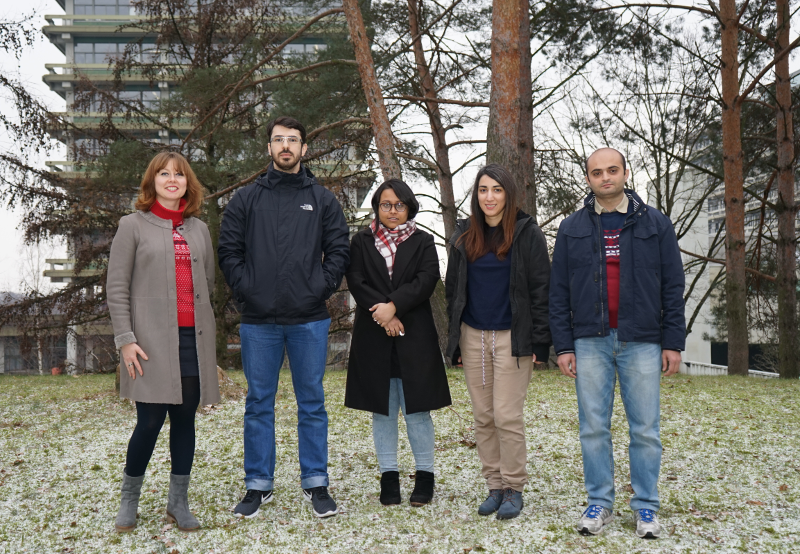 Group members in January 2019.
the development and application of data mining and machine learning methods to identify statistically sound correlations between materials chemistry, microstructure and mechanical data. 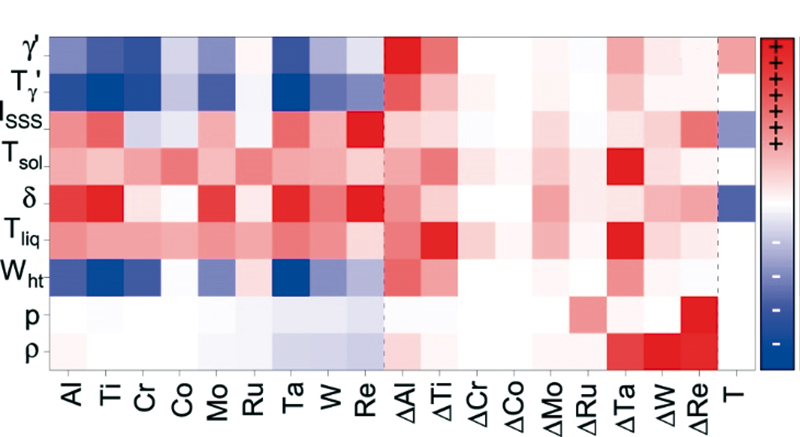 Third generation CALPHAD databases from 0K by automated statistical regression analysis. Moreover, a combination of this modelling technique and the application of statistical design of experiments allow to reduce the number of experimental trials required for the development of new materials and processes.